Our Vision at Hunters Edge Stables is to provide a fun, safe, and competitive atmosphere where riders can grow, develop and gain confidence through their accomplishments. We are a premier hunter jumper equestrian facility that takes pride in offering private and semi-private lessons for the beginner to the advanced rider. At Hunters Edge, we nurture the relationship between rider and horse. After determining the skill level of the rider, we develop our training plan to meet the individual’s ability and work to instill confidence while always moving forward to achieve the next level. Regardless of skill or age, we encourage and motivate our riders to reach their full potential. We participate in local shows and travel out of town to USEF National Rated shows. We stress safety and good horsemanship practices with all of our students. Our lesson program includes more than just how to ride; we teach our students how to care for their horse and tack. We offer full and training board. Our qualified trainers offer professional rides and training for your horse. They will help match the right mount for all levels of riders and we have horses available for sale or lease. Beanie is a native of Germantown, TN. He has been riding since the age of four. By the age of 8, Beanie was training ponies for his family. The Cones owned and operated Cedar Lake Stables. Beanie was responsible for training the National Pony Champion, “Shanessy”. Beanie was traveling the east coast, from Canada to Florida, at the age of 13. He was successfully competing on the “A” circuit in the pony division, junior hunters and junior jumpers. He was trained by Jerome Robertson and his brother, Canadian Olympian, Mac Cone winning champion at all levels of competition. After training under Fuzzy Mayo and attending course design clinics with Richard Jeffries; Beanie spent eight years designing courses from Oklahoma to Mississippi. With over 15 year’s experience, Beanie has a strong background in stable management. He knows how important a comfortable environment is for the horse and he provides it for the animal’s well being and the horse owner’s peace of mind. Meet one of Hunters Edge Stables' full-time instructor. Alex started riding at the age of 6 and has been with HES since 2009. 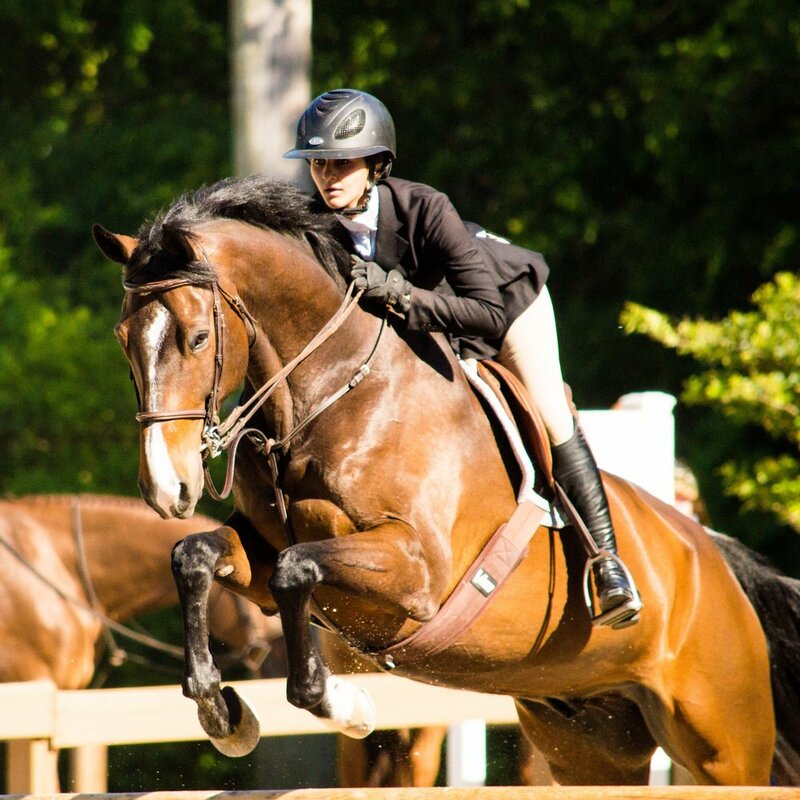 As a junior rider, she showed in equitation, Junior hunters and jumpers with much success. 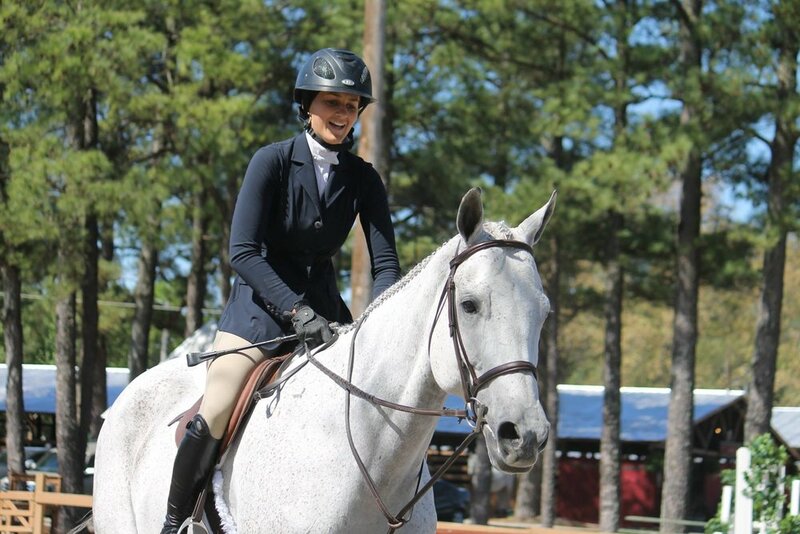 She qualified and competed at the Maclay regionals and finals in 2014 and 2015. Also, the Pessoa USEF medal final in 2015. Alex was a working student in Florida for two winters during the Florida circuit, working with Dr. Robert Barber in Ocala and Castlewood Farms in Wellington. Alex has been a working student at Hunters Edge since 2011 and she is hardworking and fun! She is a great part of the team because of her experience and youthful enthusiasm that she brings to Hunters Edge Stables. Tracy is the business manager at HES. With a degree in accounting and years of experience managing business operations in Memphis, TN, Tracy adds stability and support in order to keep HES running smoothly. Tracy is a fun and sweet member of the HES family and will always be seen with a smile on her face. Cele and Kristina are both valuable members of the HES family. Christina is our stable manager. Their incredibly hardworking work ethic keeps our facilities in prime conditions and keeps our guests happy.